In Senoa Island, visitors can see sea turtles roaming freely on the beach. There are also bird’s nests in a some caves along the beach. Senoa has the charm of natural beauty, in addition to its crystal clear water and the clean white sand. 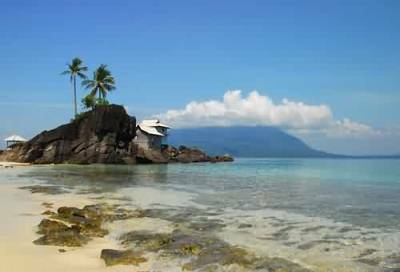 Not only the island, it turns out that the road to this island is no less beautiful than the island itself, along the way visitor can view crystal clear sea water with beautiful coral reefs and stunning underwater scenery. At the same time, we can see the fascination view of mountain Ranai with the peak covered by a thick blanket of cloud. Senoa island mostly visited during the holiday by local people, usually those on holiday made a visit with family and friends to enjoy the sea water bathing at beach. For those who likes fishing don’t forget to bring your rod since fishing here is relatively easy, we can simply put our bait on the shoreline or the edge of the rocks. 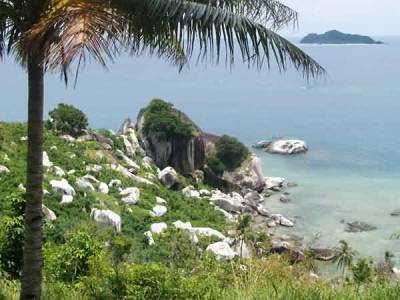 To reach Senoa Island, tourist will have to first go to Natuna using small aircraft with a capacity of 45 people from Hang Nadim Airport, Batu Besar, Batam, Riau Islands, or from Deer Airport, Tanjung Pinang. Travel by plane takes for approximately 1 hour and 30 minutes. Or, we can also use the cruise lines from Kijang Harbor, Tanjung Pinang, Riau Islands. This ship will return to the Natuna one week later. The trip by ship takes about 12 hours. 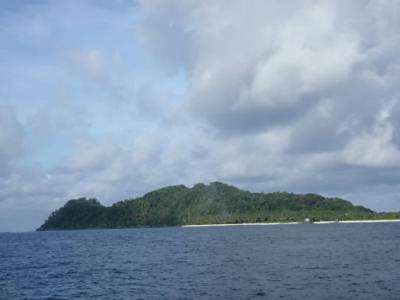 After arriving in the Natuna the journey continue to the Sepempang village and then proceed directly to senoa island for about 15 minutes, the cost of transportation we must spend to get to the island is about Rp. 300,000 (USD $30, round trip) to use chartered “pompong” owned by local fishermen. Unfortunately, there isn’t any accommodations on the island that we can expect yet, and that’s simply because the island is uninhabitated. So there’s no restaurants, inns, or anything. 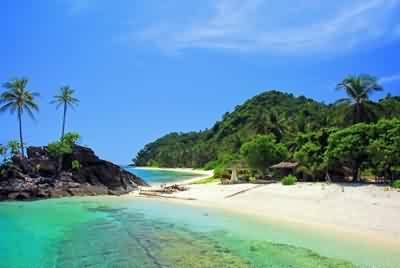 If you want to overstay, you’d have to stay in Natuna and bring your own food supplies to this island.